Hilton Head Island, SC — Professional Tennis Registry (PTR) announced two more have signed as Corporate Members of the organization - MyTrainingDiary and Fitness Anywhere, Inc. Fitness Anywhere, Inc., produces and sells equipment and programs for trainers, clubs, athletes and fitness enthusiasts. The TRX® Suspension Trainer™ is a portable performance training tool that leverages gravity and the user’s body weight for exercises that simultaneously develop strength, balance, flexibility and core stability. Weighing less than two pounds, it sets up in seconds for fitness training at home, in the gym, on court, or on the road. TRX training will bring muscular balance to tennis players of all fitness and skill levels, increasing performance and preventing injuries. Currently, the TRX is being used by the NFL, NBA, MLB, NHL and NCAA, by top tennis professionals, USTA Player Development and training centers across the United States. 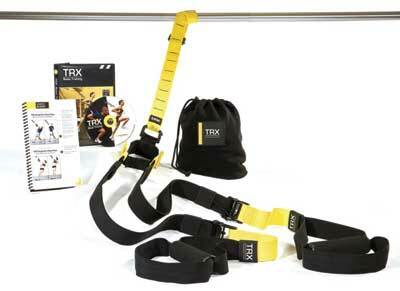 Visit fitnessanywhere.com/trx-training/sports-fitness/tennis/ to learn more about the products and programs.